You are currently browsing the tag archive for the ‘royal bank of scotland’ tag. Sargon Nissan is a researcher in nef‘s Access to Finance team. Listening to the debate on bankers’ bonuses over the past week is enough to make anybody seasick. It veers terrifyingly from righteous vengeance to doom-laden warnings. 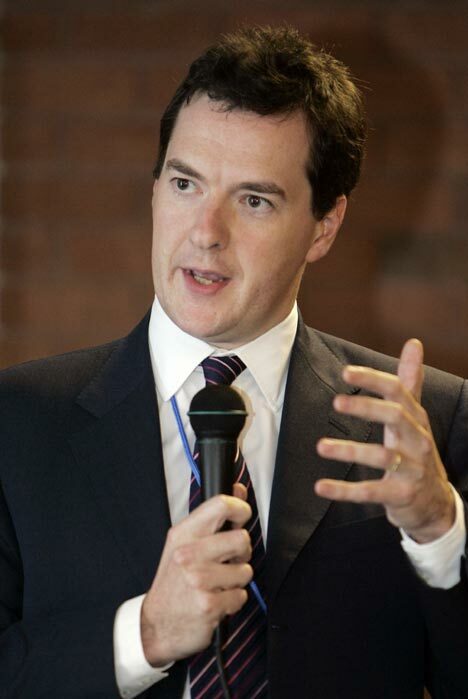 The Chancellor says he “won’t be held to ransom” by the RBS directors. Then we hear that taxing wealth-creators is bad and counter-productive. Rather than being dogmatically for or against bonuses, we should take a step back and ask: what is the point of a bonus? Bonuses are incentives. And we know that incentives are powerful and do work. So while there is a question about size – City bonuses are obscenely large and out of all step with pay in the much vaunted “real world” – the most overlooked question seems to be: are we using bonuses to incentivise the right kinds of actions and behaviours in the City? Put like that, it is obvious that there are fundamental flaws with the City bonus systems. The current bonus system in the financial sector encourages the behaviour that wrecked our economy. My own experiences as an investment banker echo the observation by Lord Turner and now many others: much of it is indeed socially useless. It also has the potential, as we’ve seen, to bring the economy to its knees. It is dangerous and useless primarily because the opaque bonus system breeds short-termism and speculation. It pushes bank staff into overstretching their institutions’ capacity to bear risk. My experience is that even if traders want to invest long-term, they find they can’t because they are not paid to. When I traded shares for an investment bank, the managers’ patience for losing money was counted in days, not weeks or months. A recent Harvard Law School study documents how executives from America’s two biggest failed banks were rewarded hugely for their efforts in the years leading up to the crisis. We now know that they were being paid so handsomely to bankrupt their own institutions and threaten the world economy. I have just taken part in a Royal Society of Arts debate about whether the bonus system could possibly exist in an effective finance sector. The City insiders who defended the system inadvertently revealed the two reasons why this debate continues going in circles. First, they over-estimate the contribution of the sector’s high-paid. Second, they believe, wrongly, that bonuses reward good performance. Even the Bischoff Report, commissioned by the government, makes this same mistake. It assumes that because the financial sector is vital that the bonuses must be vital and, crucially, that there is nothing wrong with the way bonuses are structured. In reality, the sector’s contribution to the economy is not dependent on the bonuses likely to suffer from a windfall tax. Most bonuses that non-bankers receive (including doctors, teachers and many other private sector employees) are no more than a portion of overall annual pay. A windfall tax will send a strong signal that bonuses have gotten too big. But a windfall tax is not enough. Incentives, rules and regulation are not encouraging the behaviour our businesses and economy need. They have encouraged the banks to become casinos and their staff to bet the house and our economy. For banks, just as for bankers, it isn’t that incentives are the problem. Bad incentives are the problem. Vince Cable was quite right on the Today programme. The response to the RBS director’s threat to resign if they are not allowed to pay the bonuses they want to their failed, cash-strapped, state-owned bank should be to say: go ahead. But we need to look a little more closely at the business of banking bonuses. They are paid out of a percentage of the profits of the investment divisions, sometimes up to fifty per cent. The money would otherwise go to the shareholders – the same ones who failed to exercise proper control over the bank they owned. There are some, and Fortune magazine is among them, who would say that they are better shared with the staff than shovelled at the owners – and that’s right as far as it goes. But the real question is not why the bonuses are so high. It is why the profits are so high. They come, after all, out of all of our pension investments, or the debt that goes to build productive business, or capital investments in public infrastructure. The real scandal is that these bonuses are paid out of fees which ought rightly to stay with the small investors who are watching the value of their pensions falling. The fact that the banks are able to award themselves such hefty fees is purely because we have allowed a semi-monopoly to build up in banking, both domestic and investment banking. So here is the real solution: slash the bonuses, accept the resignation of the directors, put in their place bankers who are prepared to do what is necessary to break up RBS into its constituent businesses and regions. When George Osborne, Shadow Chancellor, called for the break-up of Lloyds and RBS, he echoed the recommendations of our report I.O.U.K. on the failure of British banks to provide credit appropriate to our economy’s needs. It seemed inevitable that this issue would rear its head again, and now we finally witness the financial sector’s response, via its ever-willing ally, the Government and Treasury. Their response came today with a Treasury report – commissioned before the worst days of the current crisis – that staunchly defends the right of big banks to get bigger. According to today’s Financial Times, the Chancellor and the authors reiterated the report’s findings that “an industry constrained on narrow lines would find it harder to develop new products”. What does not seem to be acknowledged in the current debate is that the failure of overly-consolidated banking pre-dates the crisis. As we discussed in I.O.U.K., the inability of the banking sector to provide the necessary credit for thoses small businesses and sectors of the economy which do not enjoy unwavering Government support is not a result of the credit crunch and economic crisis. The reality is that banks have been withdrawing from communities, closing their branches and abandoning relationship-driven banking for over two decades now. And it is this retrenchment from the real economy which has made them so vulnerable to the kinds of economic shocks we have seen in the last eight months. Northern Rock and Bradford & Bingley used to be mutuals, but they abandoned old-fashioned banking and converted into shareholder-owned institutions in search of better returns. And the result of this shift? They both went bankrupt and had to be rescued by the taxpayer. It was selfish herd-like behaviour seeking the easiest profits, encouraged by policymakers since Margaret Thatcher’s 1980s reforms, which thoroughly undermined our financial system. Perversely, it is now the Tories who seem to perceive the contradiction of a banking system with a permanent Government get-out-of-jail free card for banks that are, in the Shadow Chancellor’s words, “too big to fail, too big to bail”. Perhaps the Conservatives are willing to contradict the prior orthodoxy just to win political points? Or maybe Osborne is just concerned about how big a headache a banking system in need of permanent subsidy will be when he has to present the next Budget? The Royal Bank of Scotland announced this week that they would grant six months breathing space to homeowners who fall behind with their mortage payments. At nef, we welcome this decision, but feel that it goes nowhere near far enough. The housing charities have been fairly positive about RBS’s move – although other banks have dismissed it as marketing spin. It is clearly an inadequate concession, but it also demonstrates that RBS are beginning to recognise their culpability in this mess. In the last few months, we’ve seen banks – which are at fault – being bailed out to a previously unimaginable degree by the taxpayer, while thousands of hard-working home owners face the daily insecurity of potential eviction as the recession makes it harder to meet repayments. This is, of course, deeply unjust. It also destabilises and burdens society. As nef recently argued in From the Ashes of the Crash, evictions must be stopped and replaced by long-term plans for restructuring householders’ mortgage debts.